Hi there Glitzy friends!! It's CHA time and I don't know about you, but I have been loving the previews of all the new Glitz Design Lines!! I can't wait to get my hands on them, that's for sure! In the meantime, I've made some fun cards using up my Glitz Design scraps. 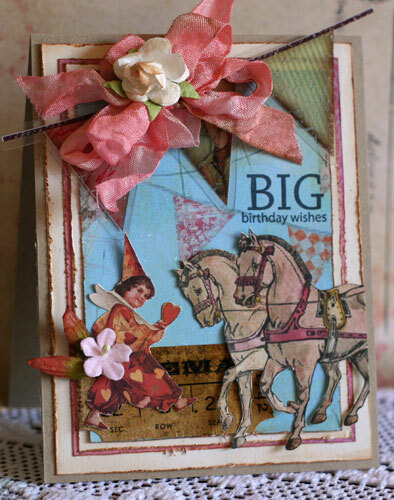 I matted several pieces of cardstock on top of a kraft cardstock base and fussy cut the horses from Afternoon Muse Carte Postal Paper and the little clown image from the Afternoon Muse Whatnots and created a fun little birthday scene. 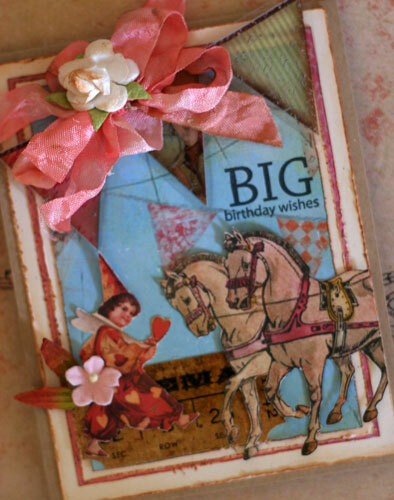 The next card is made with a collection of different Glitz Design goodies. I stamped the back side of the Love Games Floral paper with a small dot stamp and paired it borders made with the back side of the banner papers. 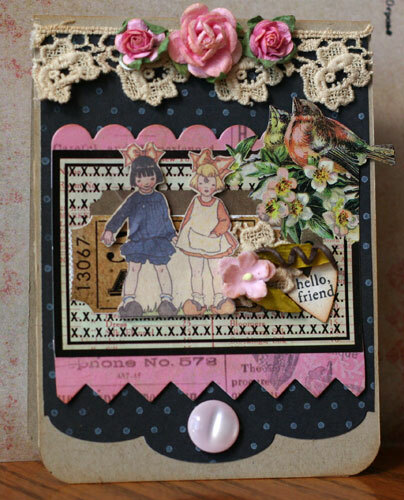 I layered the sweet little girl images from the Laced with Grace Paper Layers on top stickers from Laced with Grace and Afternoon Muse Cardstock Sticker Collections. Next, I added some lace, flowers, and a button. What a fun little card to send to a friend!! Don't you just love the sweet little girls? Wishing you a very Glitzy Day!!! 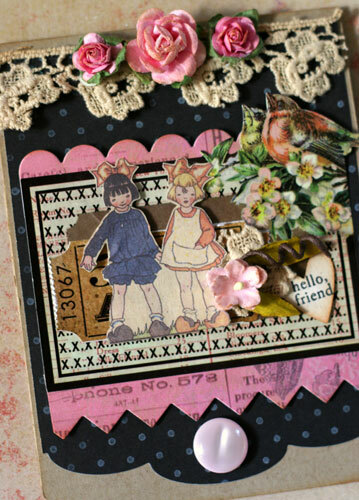 cute cards and I love collage! Gorgeous cards! Your fussy cutting is amazing!!!! !